I value health above and beyond anything else in life. It’s the first thing I think about when I get up and it’s what I plan my entire day around. As a result, I rarely get sick and I get to enjoy the kind of energy every day that has me literally bouncing off the walls like a kid loaded up on sugar. One of the biggest hurdles to health these days is stress. I call it the silent killer because it’s something that can sneak up on you from behind and knock you around when you least expect it. A certain amount of stress is actually normal and healthy. It’s the over-stress that kills. The other thing about stress is that it also affects your breathing. Typically, the more stressed you are, the shallower your breathing becomes. It also follows that the more tension you have in your body the more oxygen deprived it gets due to constricted blood flow. That’s where meditation and breathing can help. While we can go without food or water for days the same cannot be said about the breath. We can only last minutes without breathing. It is one of the most important things you do every day yet it can often be neglected as the demands of over-adrenalized lifestyles take over. Stress can cause you to keep your breathing shallow and limit it to the chest area. While that’s good if you’re doing an aerobic workout, it’s not beneficial if your body is tense as it will lead to all sorts of aches and pains. The key with mindful breathing is to keep the breath natural while at the same time feeling it moving all the way down to your lower belly. As long as your lower belly is expanding and contracting with each breath, then you know you are doing it right. Babies and toddlers do this naturally until they learn how to tense up. Most of our stress is created by what we are thinking or feeling from moment to moment. Many people mistakenly think that stress comes from the outside but in reality, it’s how you react internally to outside pressure that decides if you get over-stressed or stay relaxed. By paying attention to your breath as it comes in and out of your body it helps you to step back from the busy mind and drop into the present moment. When that happens then the mind becomes calmer and it’s easier to focus. There is no price you can put on inner peace. It gives you space to think clearly, listen to your intuition, and open up the floodgates to your creative genius. Just by focusing on mindful breathing it quiets the mind and gives you a relaxed sense of awareness in which your energy levels stay high and your stress levels stay low. Many people focus on time management to be more productive in their lives be it at home or work. What works better than that though is to work on managing your energy levels. If your energy levels are consistently high, then it makes getting things done 10x easier. By doing 20 minutes of mindful breathing a day it’ll help clear out negativity, dissolve tension and enjoy improved energy circulation throughout your body. This also helps you to be more mentally and emotionally resilient so that you are better able to handle whatever life sends your way. Step 1. Find somewhere comfortable to sit for a few minutes. Step 2. Close your eyes and takes 3 slow, deep breaths into your body. Step 3. Pay attention to your breath as it comes in through the nose and out through the mouth. Step 5. Repeat steps 3 and 4 until you want to stop. You can focus on your breath anywhere and anytime you like. You can be sitting, standing, walking, waiting in a queue, or doing pretty much anything at all. That’s what’s so great about it – there’s no barrier to entry. The breath is the key to a happier, healthier and more enjoyable life. 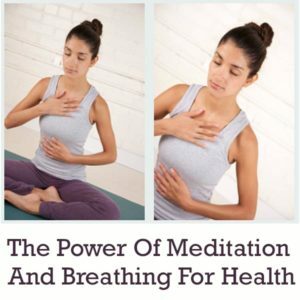 Just by becoming more conscious of your breathing it helps you to be more connected to your body. The more you can take a break from your head and just relax into your body, the less stress can take hold of your life.